Home | Discount Leotards ™ > Grips, Grip Bags, Balm, Etc. > Shiny paradise island yellow foil drawstring grip bag. 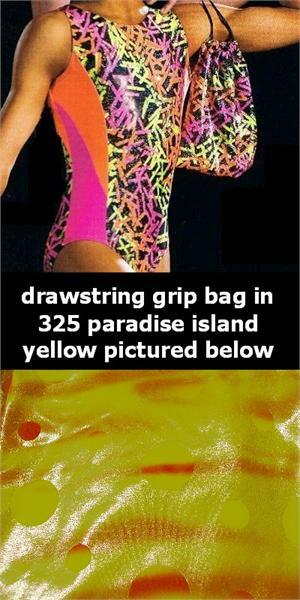 Shiny paradise island yellow foil drawstring grip bag.